When I talk to friends and family who have never lived in Arizona, or in some cases never even visited, they are always surprised at what I tell them. Yes, almost 2/3 of the state is mountains. Yes, you can actually ski in Arizona (most years). Yes, we have mosquitoes even in the desert. One of more surprising insects to take up residence in Arizona (I should say surprising to out-of-state'ers) is the Praying Mantis. 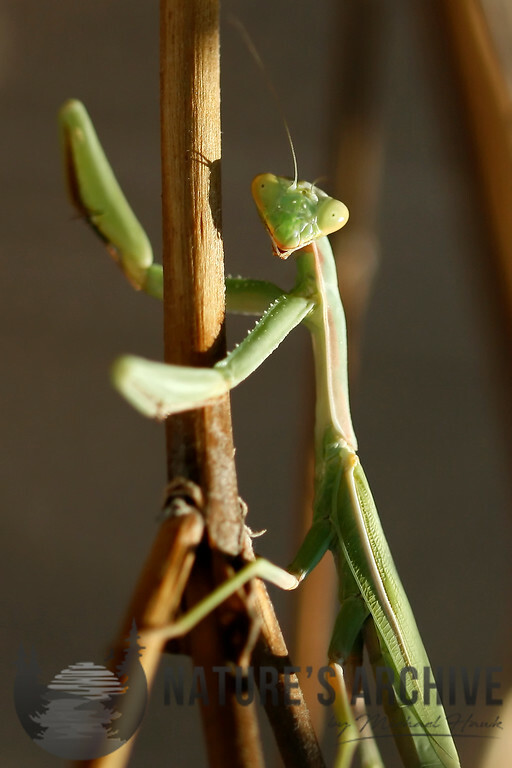 Praying Mantis are more accurately called Mantids, from the family Mantidae. 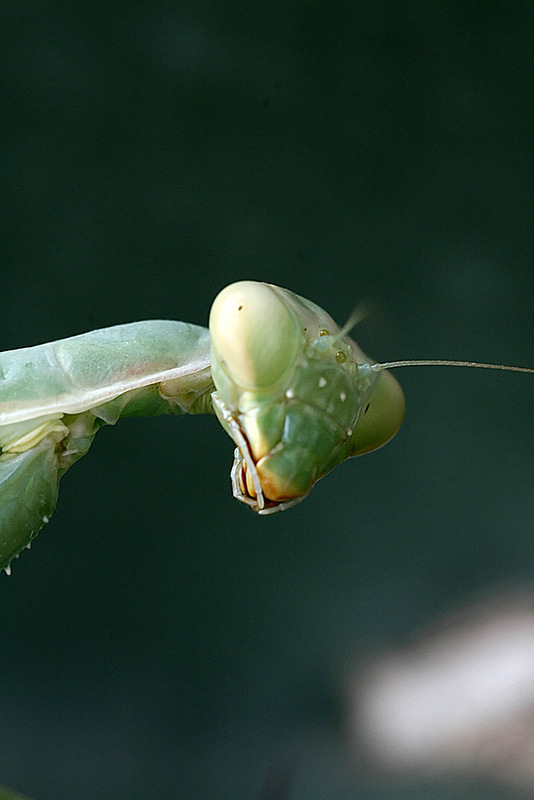 20 species of Mantids live in the USA and Canada, and over 2000 worldwide. Aside from the Mediterranean mantis, Iris oratoria, I'm not sure if other species are around in my yard. Regardless, I am happy to have them. They are known to be voracious predators and generally beneficial for suburban landscapes and gardens. They are harmless to humans, and fun to watch. In fact, many homeowners and gardeners around the world purchase eggs and adults to populate their gardens. The only downside is that they do not differentiate between what humans consider harmful and helpful insects. 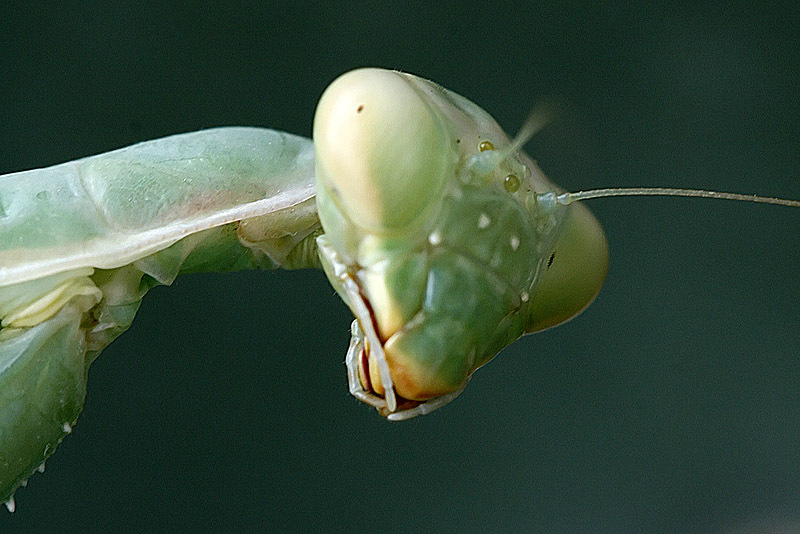 Spotting praying mantis can be difficult since they blend in so well and can hold still and stalk very effectively. Many are colored green to brown, looking like foliage and sticks. They often stay perfectly still hoping for some insect prey to wonder by. I've seen Mantids in most vegetation in our yard, ranging from my mesquite tree, to rose bushes, to Mexican Hat flowers, and even on my Saguaro. If you are looking for Mantids in your yard, many people recommend checking near porch lights or coach lights in the August and September timeframe, when males may fly in and and take up post waiting for prey. One other tell-tale sign of mantids in your yard is the hard egg encasements they leave behind (see photo of Mediterranean mantis, Iris oratoria eggs found in my yard). 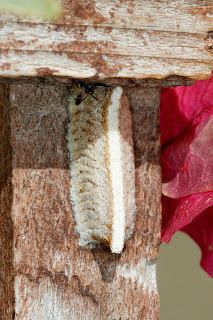 These eggs are deposited on hard surfaces - walls, trellis, sturdy branches, and even the sides of cactus. As many as four dozen mantis eggs may be inside, so take care not to disturb.